Multiple polls have recorded a drop in Liberal support ever since the Globe and Mail first published allegations of political interference by the Prime Minister’s Office in the SNC-Lavalin affair — allegations that prompted the resignation from cabinet of former attorney-general Jody Wilson-Raybould and the subsequent resignation of Jane Philpott as president of Treasury Board. But the losses suffered by the party are less significant than those suffered by Trudeau himself on questions relating to his own personal brand, the performance of his government and Canadians’ preferences for prime minister. Among the five pollsters who have asked the question both before and since the SNC-Lavalin affair emerged (Innovative Research Group, Ipsos, Forum Research, Nanos Research and Abacus Data), the average drop in Trudeau’s polling on the question of who Canadians prefer as prime minister has been six points, compared to an average drop of just two points for these pollsters in voting intentions for the Liberals. Since November and December, Léger, Ipsos and Abacus have recorded drops of between seven and nine points in approval or satisfaction with the performance of Trudeau’s government. Forum, which has been an outlier in showing the Liberals trailing the Conservatives by a significant margin since the beginning of 2018, found a drop of eight points in Trudeau’s personal approval rating, while the party — already low in Forum’s estimation — only slipped a single point. That suggests either the Liberal brand retains some resilience — or voters aren’t impressed enough with their options to switch their allegiance to other parties when asked to make a choice. The numbers don’t suggest that Conservative Leader Andrew Scheer or NDP Leader Jagmeet Singh have been able to take advantage of Trudeau’s struggles. While Innovative found Trudeau’s favourable vs. unfavourable score dropped by a net 20 points, the polling firm also found Scheer’s decreased by three points, while Singh’s didn’t change at all. Léger recorded Trudeau’s score on preferred prime minister falling seven points, while Scheer’s dropped by one and Singh’s increased by just one. Abacus has shown Scheer’s numbers getting worse since a peak just after Wilson-Raybould testified before a Commons committee on Feb. 27 and Scheer demanded that the prime minister resign. In its Feb. 28 to Mar. 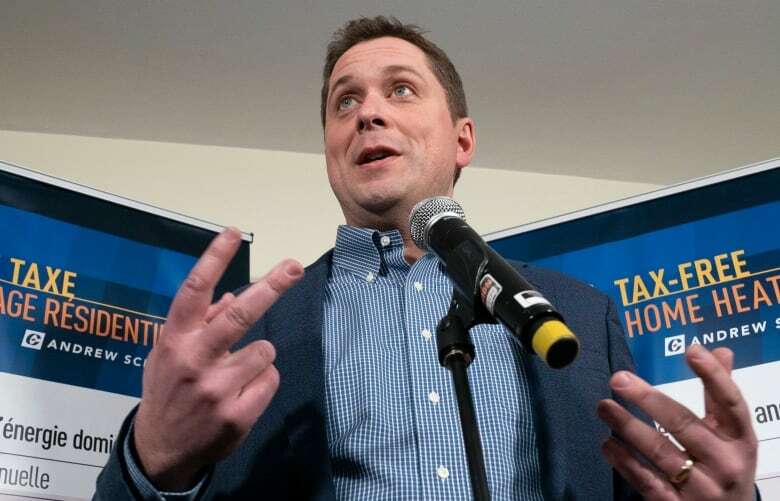 2 poll, 32 per cent of respondents had a positive impression of Scheer. In its Mar. 5-7 survey, that had dropped to 28 per cent. Not even Singh’s Burnaby South byelection victory on Feb. 25 — which finally gave him a seat in the House of Commons — moved the dial for the NDP leader. In Abacus’s Feb. 8 to 11 survey, 20 per cent of Canadians had a positive impression of Singh. His latest numbers are virtually unchanged, at 19 per cent. All of which suggests that the losses the Liberals suffer and the gains the Conservatives or New Democrats make in voting intentions might fade in the longer term if they’re not secured by an improvement in the personal ratings of Scheer or Singh. As of Friday afternoon, Abacus Data has been the only polling firm to release the results of surveys conducted after Philpott’s resignation on Monday and the testimony of Gerald Butts, the prime minister’s former principal secretary, on Wednesday. The latest results — gathered from Tuesday to Thursday online and surveying 300 panel respondents per day for a total of 900 responses — found the Conservatives with only a one-point lead over the Liberals (34 to 33 per cent), down from the Conservatives’ seven-point advantage in the days following Wilson-Raybould’s explosive committee testimony (37 to 30 per cent). The shifts might not be very significant considering the sample sizes, but the trend has been consistent. Abacus also asked respondents to choose their preferred prime minister. On that question, Trudeau’s edge over Scheer has grown to five points after having fallen behind the Conservative leader by one point between Feb. 28 to Mar. 1. Of course, that’s still a far smaller margin than the 16-point edge Trudeau enjoyed over Scheer in December. But Trudeau and the Liberals have enjoyed no similar rebound in polling which doesn’t feature a multiple choice option rather than a simple for-or-against question on the PM and his government. The number of Canadians with a positive impression of the prime minister has not shifted at all, according to Abacus, while approval of his government is up a mere two points.